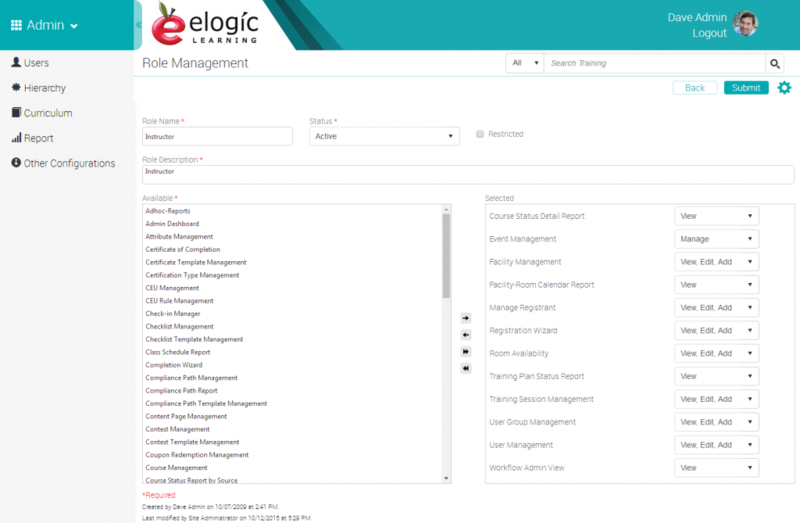 The eSSential LMS provides the ability for clients to build their own security roles based on their unique business requirements. Easily create unique security roles by selecting the administrative features you want included in that role. 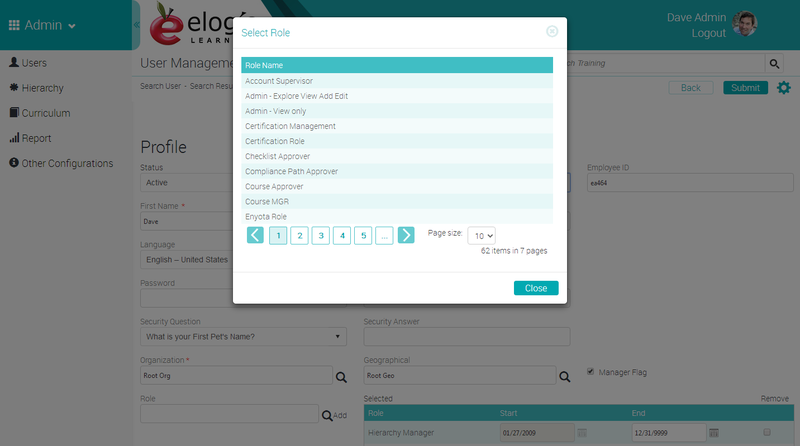 The role can then be assigned to end users including effective date ranges.